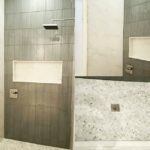 Bathroom envy – it may sound silly, but it’s very real, and it’s something that most of us have experienced at one time or another. Have you ever stayed overnight in a fancy hotel and had your jaw hit the floor when you saw the incredible bathroom? Or have you ever wanted to just hole up in a luxurious spa amongst the beautiful, eye catching interior design? Well believe it or not, you can bring that comfortable, welcoming, and lavish look to your own bathroom. The secret? A good bathroom tile. Marble is synonymous with luxury, but until recently it’s been difficult to place marble in bathrooms due to its porous nature, which means a lot of maintenance and upkeep. 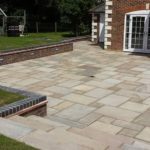 The good news is that marble effect tiles – which combine the look of marble with the hard wearing nature of porcelain – are now widely available. This new Imperial Marble range in white, grey, and ivory is expected to be huge this year! One of the best ways to get that luxury hotel look and feel is to dim the lights a little and have more of a soft, warming glow in your bathroom, rather than harsh bright bulbs. The glow of small lamps and flickering candles can be maximised by fitting high gloss wall tiles – like these Illumina tiles which reflect light thanks to their mesmerising high gloss finish. Don’t like white? How about beautiful emerald green? One of the aspects that really stands out about a fancy hotel or spa bathroom is that there’s often some large scale artwork, which brings a little character and personality to the space. Instead of hanging artwork at home, why not let your bathroom tiles do all the talking for you? The Heritage Collection by Laura Ashley features interesting yet subtle designs and patterns, for a look that really has a lot of depth. After the ‘avocado green’ bathroom disaster of the 1970’s (which some of us are still feeling the effects of! ), it’s not surprising that many are still shying away from using colour in the bathroom. However, colourful tiles are right on trend, and can be a great way to add warmth to an otherwise cold space. You don’t have to go crazy with colour; the subtle tints of the Crackle Glaze collection will work just fine. The essence of a great bathroom is that it should engage all your senses. That’s why luxury hotel bathrooms will often have scented candles, soft, fluffy rugs, large artwork, and perhaps even music playing in the background. 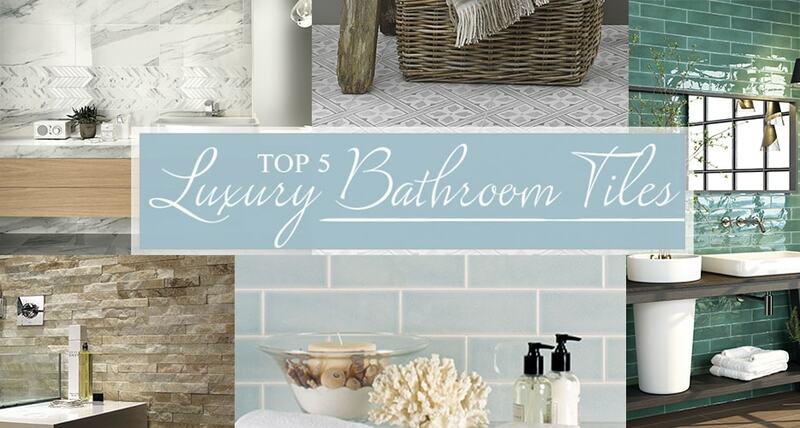 So how can you bring a more sensual feel to your bathroom? The trick is textured tiles. Playing around with different textures is definitely a hot topic right now, and the Split Face tiles make this really easy to do.